Buying or selling a house can be an overwhelming and daunting process. Will my home sell? How much can I get for it? What can I afford to buy? All questions that need to be answered by a reliable and experienced realtor who can help you navigate the confusion of mortgages and home values in the Middle Tennessee Area including Franklin, Brentwood, Spring Hill, Nashville,The South Nashville area, Downtown Nashville Condominiums, Nolensville Area as well as short sales and foreclosures. Let me introduce myself. 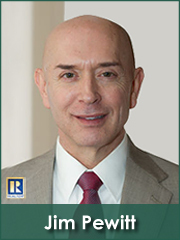 My name is Jim Pewitt TN# 00306394 and I pride myself on being a realtor for real people like you. People who want to take the guess work out of owning a home and make a decision based on the facts. With my years in the real estate business I've helped all kinds of people from all walks of life buy or sell a home from Veterans to International Clients. I am patient, dedicated and committed to helping you take that important step. I will educate you every step of the way so that you know what the process is and how you can get the most for your hard earned money. I am part of the VERY SUCCESSFUL MySearchForHomes.com Team where we have several agents that specialize on each individuals needs. With our TEAM environment, we will always have someone that is an Expert with Sellers to get their Home Sold, have an Expert negotiator that will help get Buyers the BEST price when making a purchase and in today's market someone who handles Short Sales. We have over 30 year Experience with 4 agents and a fabulous support staff that free's up our time to spend time with our Clients. We will GUARANTEE you to get the Best Overall Buying or Selling transaction that flows smoothly. The Nashville area has been my home for over 30 years and I proud to say that I have helped many clients sell or buy homes all over our beautiful city. I get great satisfaction from one of my clients referring me to their friends or family members in assisting them with their home purchase also. Referrals have been a huge part of my career and I am thankful that my clients, real people like yourself, trust me with such an important decision. Buying or selling a home doesn't' have to be a chore. It can be an exciting adventure when you're working with someone who loves their job. And I love my job. If your looking to buy or sell a home, call Jim Pewitt with Exit Realty Music City. The Realtor for real people. We have 3 Goals in SELLING or BUYING your HOME.